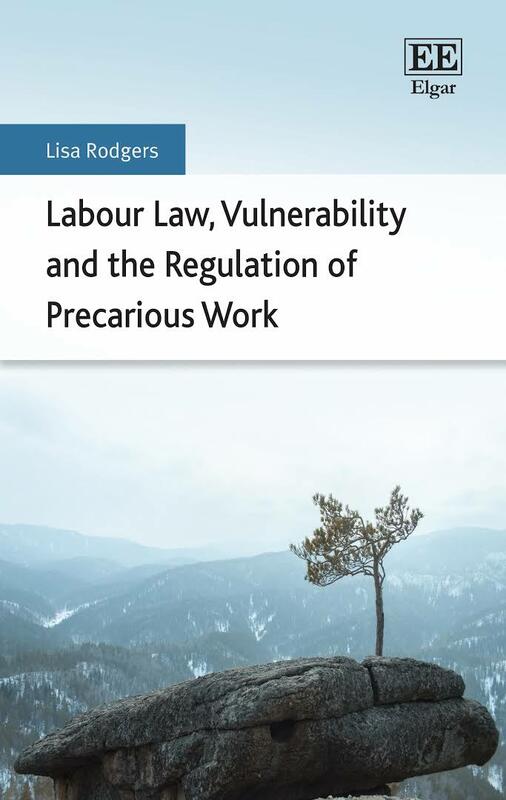 서명/저자 Labour law, vulnerability and the regulation of precarious work / by Lisa Rodgers. 발행사항 Cheltenham : Edward Elgar Publishing , 2016. The shifting nature of employment practice towards the use of more precarious work forms has caused a crisis in classical labour law and engendered a new wave of regulation. This timely book deftly uses this crisis as an opportunity to explore the notion of precariousness or vulnerability in employment relationships. Arguing that the idea of vulnerability has been under-theorised in the labour law literature, Lisa Rodgers illustrates how this extends to the design of regulation for precarious work. The book’s logical structure situates vulnerability in its developmental context before moving on to examine the goals of the regulation of labour law for vulnerability, its current status in the law and case studies of vulnerability such as temporary agency work and domestic work. These threads are astutely drawn together to show the need for a shift in focus towards workers as ‘vulnerable subjects’ in all their complexity in order to better inform labour law policy and practice more generally. Constructively critical, Labour Law, Vulnerability and the Regulation of Precarious Work will prove invaluable to students and scholars of labour and employment law at local, EU and international levels. With its challenge to orthodox thinking and proposals for the improvement of the regulation of labour law, labour law institutions will also find this book of great interest and value.